A teacher and swordsman who adores Yuri. Günter is a skilled swordsman and magician, but has retired to teach Yuri about Shin Makoku and his future duties as the Maou. Gunter once stated that he was the one who taught Conrad to "become His Majesty's sword and shield" indicating that perhaps Gunter was once Conrad's teacher. When Günter accidentally travels to Earth, he becomes a model in New York City for a brief period of time so that he can earn money to find Yuri. He is a very whimsical person and poetic in his thoughts. Günter is another test subject of Anissina. Günter, along with the three brothers, helps Yuri run the country. He is Yuri's adviser and mentor, teaching Yuri various aspects of Shin Makoku. He usually spends his time doing numerous duties for Yuri and Shin Makoku. When Gunter was shot with a poisoned arrow containing the Wincott poison, his soul was temporarily housed in an Okiku Doll that flies, shoots lasers from its eyes and has hair that grow naturally. During this time his body was known as Snow Gunter and can be controlled by or released from the effects of the Wincott Poison by anyone of the direct line of the von Wincotts like Julia's father and nephew. Günter's personality is usually that of a good nature, but when he puts on his serious face he can be awe-inspiring. He has an extremely strong attachment to Yuri and tends to pine when Yuri has been gone from the Shin Makoku for any considerable amount of time. He is very popular among females and males because of his good looks. 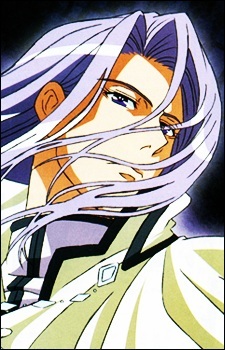 Günter's political views make a radical change due to Yuri's influence. In the beginning, he was the one pushing most strongly for the war that would exterminate the human race. As the series goes on, Yuri's views are impressed upon him, and he begins to truly believe in and work for a peaceful alliance between Mazoku and humans. Günter's only family seems to be his adopted daughter Gisela.